The internet has always conjured utopian fantasies of interconnectedness—a more perfect way for minds to come together freed of the baggage of the physical body. The capitalist corollary is the internet-enabled dream of the perfectly efficient markets, where supply and demand converge in eternal harmony. The latest iteration of that ideal is the so-called “share economy,” in which waste—an empty room, a parked car, an idle worker—is eradicated by the ubiquitous interconnectivity made possible by mobile devices. But to reach its full potential, this economy needs another kind of connectedness that Stripe co-founder John Collison says the internet still struggles to afford. In Collison’s version of ideal interconnectedness, money moves across the internet as easily as text. A who’s who of Silicon Valley celebrities have endorsed that vision with tens of millions in funding, among them Peter Thiel, Elon Musk and Mark Andreessen. As the co-inventor of the first popular browser, Andreessen has expressed regret that payments weren’t baked into the earliest versions of the web. 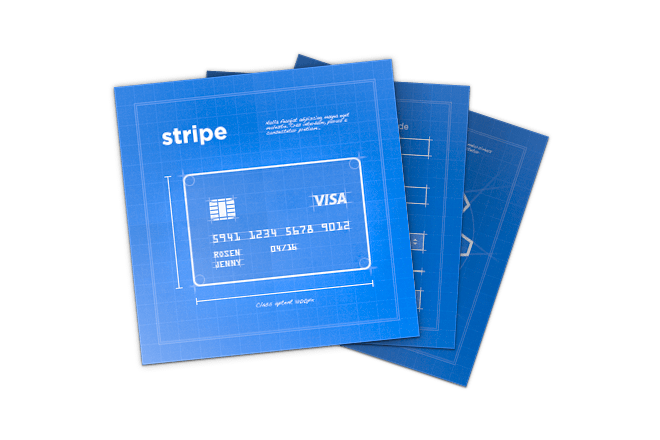 Stripe has become a startup darling by seeking to retrofit the internet with the snippets of code needed to let money flow. Venture capitalists’ twin cravings for the unfettered flow of money and ultra-efficient sharing appear to be converging today with the launch of a new feature that Collison hopes will make Stripe the default way money moves through the share economy. Here’s how it works. Say you’re using a ride-sharing service like Lyft. Using Stripe, Lyft stores your credit card information before you take your first ride. When the ride is over, Lyft charges your credit card. Under the old version of Stripe, Collison says all that money would go into a single Lyft bank account. Lyft would then have to take the additional step of cutting a check to pay the driver or deposit money into the driver’s bank account. With the new version of Stripe, Collison says Lyft can automate the flow of money straight to the driver, with Lyft diverting its cut as the stream passes by. While such a change may seem minor, Collison believes that eliminating barriers to the flow of funds through shared-resource marketplaces frees up these fast-growing startups to focus on building a better product. “Why are you running a department that’s sending out checks to people?” Collison says. Of course, the cachet Stripe currently enjoys among the Silicon Valley cool kids doesn’t guarantee its platform will become the standard. PayPal, which made both Thiel and Musk rich, moved $145 billion across its network last year. Of all the native options for moving money online, PayPal is arguably already the standard. But Collison believes Stripe offers developers a seamlessness that will lure companies away from PayPal. As with the digital marketplaces that constitute the share economy, success hinges not on simply providing a service but on the quality of the experience.